All Posts Tagged With: "Osama bin Laden"
Saudi Arabia is in the throes of a crisis. Its population is growing faster than its economy, its welfare state is rapidly deteriorating, regional and sectarian resentments are rising, and the disaffected are increasingly turning to radical Islamic activism. 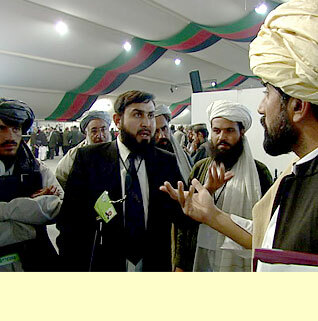 See historical facts about the government in Afghanistan, as it attempts to hold its first ever democratic elections under its new constitution.